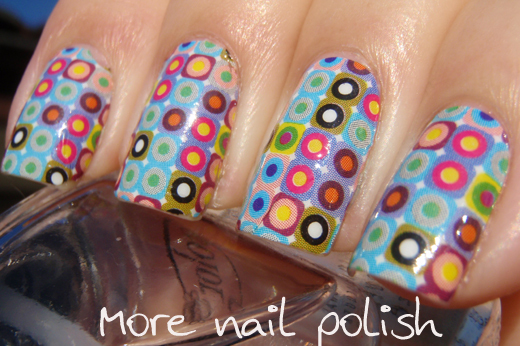 I recently received some nail polish strips to review from OMG Nail Strips. I've tried quite a few different nail strips in the past so I was interested to see how these would compare. I was able to choose which designs I wanted to try, which meant I received designs that appealed to me and I'd enjoy wearing. 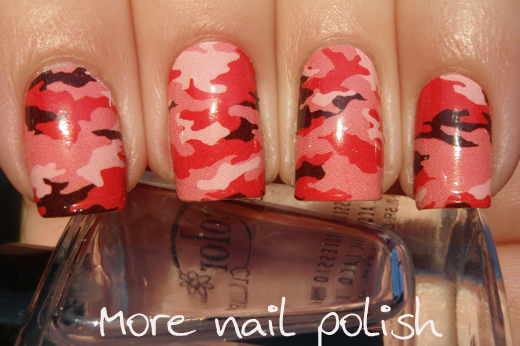 I chose the Speckle design and the Pink Camouflage design. Speckle Design - I chose this design because I wanted something on my nails that I couldn't easily recreate myself using nail art techniques. There is no way I could have created such an intricate and perfectly aligned and balanced design as these. 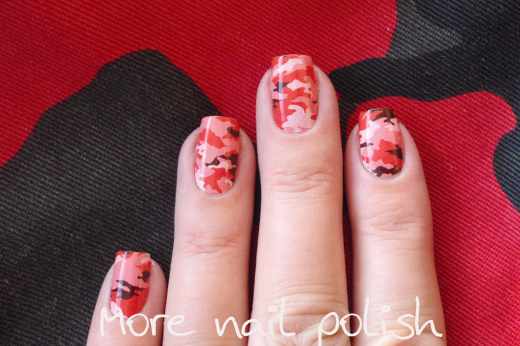 Pink Camouflage - I chose this design because I'd previously created two camouflage designs by freehand before - this green one very early on in my blogging life (my 10th blog post ever in fact) and another red one two years ago. I wanted to see how this design compared to my freehand attempts, and I can easily say these pink ones look SOOOOOOO much better than either of those designs! This next photo features the backdrop of my comfy kevlar red camouflage motorcycle pants that I wear riding my motorbike to work everyday. 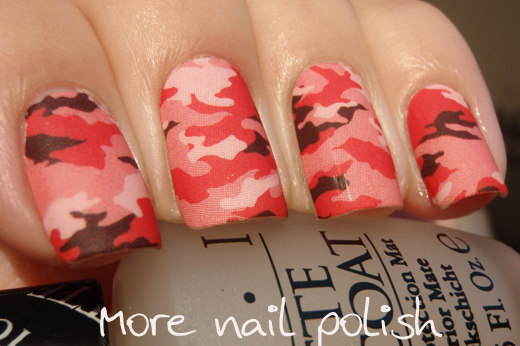 After a few hours wearing the Pink Camouflage design, I decided to apply a layer of OPI Matte Top Coat. 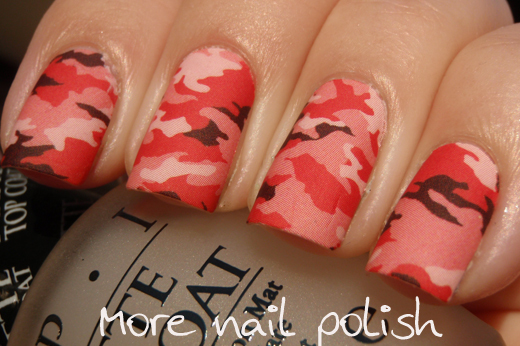 To me, camouflage design nails have to be mattified. I was super impressed with these nail polish strips, not to be confused with the OMG Nail Foil Strips, which I believe aren't so fantastic. I'd even go so far as to say they are the best nail polish strips I have tried so far. Application was super easy with both sets and because of the flexible nature of the strip I didn't end up with any creases along the cuticle edge or the free edge. These suckers also stick, and they stick good! Have you heard of the saying 'sticks like sh!t to a blanket', well yep, these really stick. The fact that they stick so well is great, because it means you don't get any bits lifting or peeling backwards. They wear much more like real nail polish. Because they are very sticky, it also means you need to be careful with placement onto your nails, cause if you don't get it in the right place first time, you may rip it when you lift if off the nail to reposition it. I had a full mani applied with these strips within 15 minutes. As far as wear, I did only test each design for two days each. 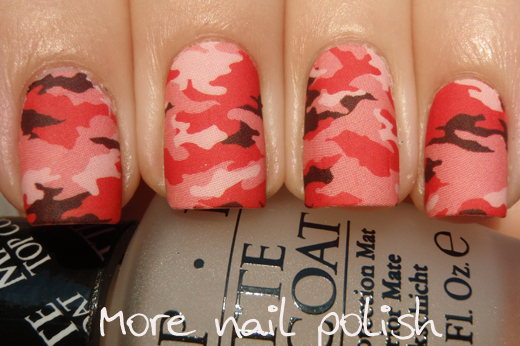 Afterall I am a nail blogger and I have to change my polish very regulary! They were both still perfect after two days. Removal was easy with regular nail polish removal, although I did have to make sure I really cleaned well near my cuticle edge to remove the sticky residue. Great quality for the price, and far superior to the ALDI brand ones I tried. 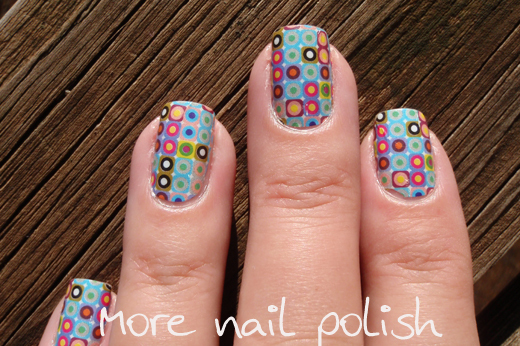 Available from OMG Nail Strips with more information on their Facebook page http://www.facebook.com/OmgNailStrips - which say's they have free shipping worldwide. SO cool, I love the first design! 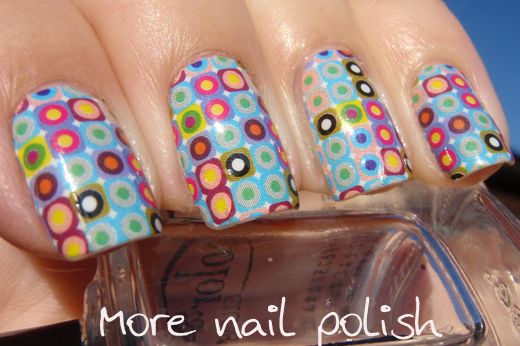 I adore the speckle design! 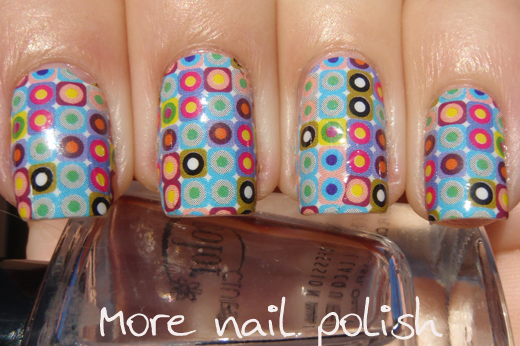 I thought it was nail art when I first saw it in the Bloglovin' preview window, so my mouth literally dropped open. Can you imagine the amount of time that would take?